With Baba's permission this has become possible to scan HINDI version of Sri Sai Satcharitra and make it available to all those who have difficulty reading and understanding english. Hindi chapters are available below to download and are in PDF format and therefore requires Adobe Acrobat reader which is available at http://www.adobe.com. If you print these chapters, please make sure printed pages get due respect and are not left on printer or thrown in trash. Om Sai Ram. 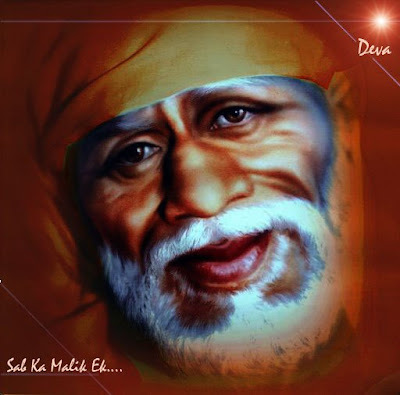 May Baba bless your effort in reading his life and message in Sri Sai Satcharitra. It is well known to start reading Sri Sai Satcharitra on a Thursday and complete it the following Thursday, also called one week Prayayan or Saptah. Many miracles have happened when a devotee is in the middle of a Saptah, besides that fact that spiritual atmosphere is very strong while in Saptah. Many Thanks to Chandra Kasarabada for making Sri Sai Satcharithra Audio available to all the Saibaba devotees. Download the entire Sri Sai SatCharita. Download the Sri Sai SatCharita by Chapter.